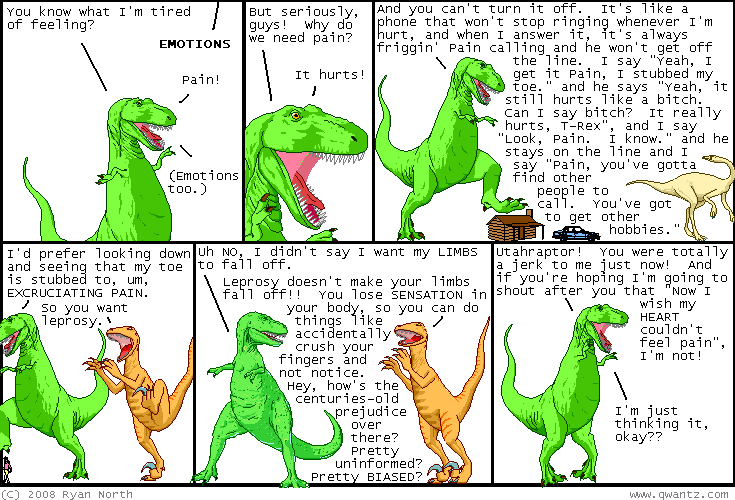 Leif likes crazy lo-fi Dinosaur Comics: I like crazy lo-fi Dinosaur Comics. Today’s excellent offering on pesky weight losers is as follows. Yes. Another stand-by on that old irascible pain predicament. Yes. 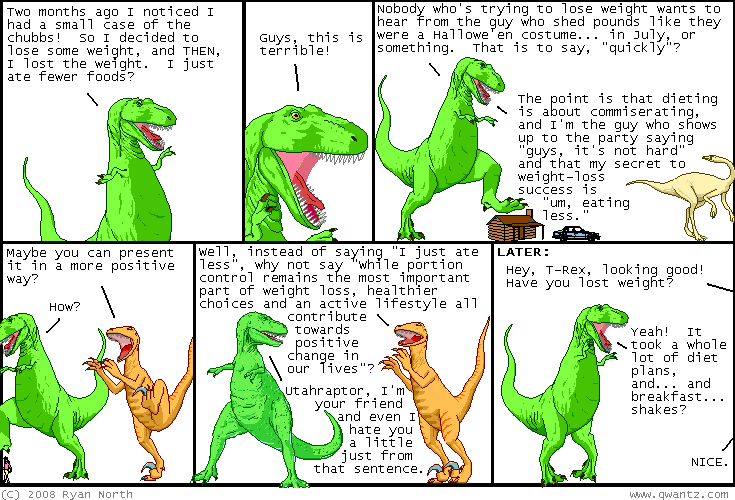 The post Take It, T-Rex appeared first on Gravel & Gold.